The two words on the form said fully meets. My performance review was done and it said I was fully meeting the goals of the department and those I set for myself. One quick moment of rejoicing led to another moment of self-reflection and a little more of a reality check. I began to think Lord am I fully meeting your standards? Am I doing the kingdom work that is required of me? I’m going to church, staying active in ministry, trying to serve others, I think I have it right but I really don’t. I know I don’t always measure up and I know I can do better. My ratings on taming my tongue, procrastination and bible study alone can easily knock me down from thinking I’m something that I’m not. Add in fasting and praying and I’m in no better position to fully meet or measure up to any spiritual standards. So I say a quick prayer and ask the Lord to help me live purposefully on pitch. I ask Him to guide me , help me guard my mind, heart and life to fully meet what He requires. Thank God for His grace and mercy which fully meets me at the point of my need. The grace of God is sufficient and still amazing. I am once again reminded that without God I can do nothing and without Him I would surely fail. 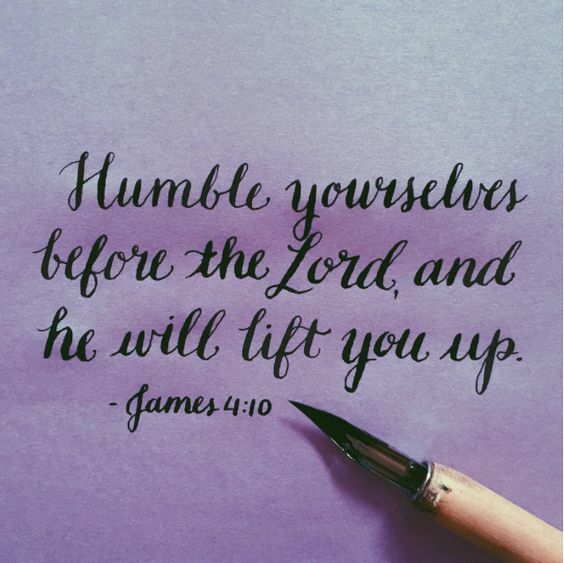 James 4:10 ESV Humble yourselves before the Lord and he will exalt you.